Product prices and availability are accurate as of 2019-04-24 11:37:14 UTC and are subject to change. Any price and availability information displayed on http://www.amazon.co.uk/ at the time of purchase will apply to the purchase of this product. 15kg Quality Hardwood Kiln Dried Wooden Logs - Coal Alternative Fuel for Hotter Burning Fires. Firepits. 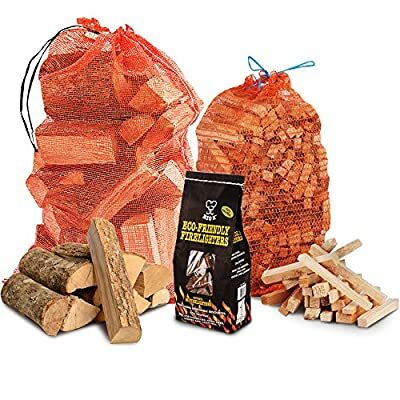 Firewood Moisture Reduced to Only 20% 3kg of dried kindling sticks- Kindling sticks are sawn to an ideal size, making staring a fire much easier to get going. 96 Pack of Eco Firelighters- Manufactured using renewable resources and are a CO2 neutral product. Ideal to quickly and safely get your fire going. Ideal for open fires, stoves, barbecues, Ovens, Fire Pits, Chimineas etc. 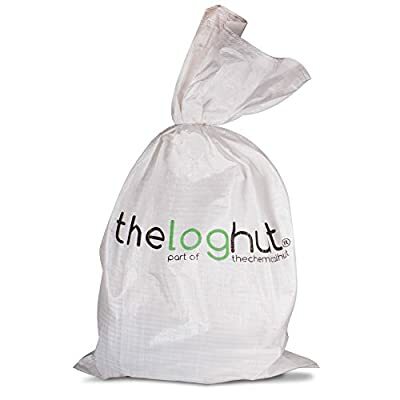 Comes with THE LOG HUT White Woven Sack, ideal to store wood, logs, kindling etc.